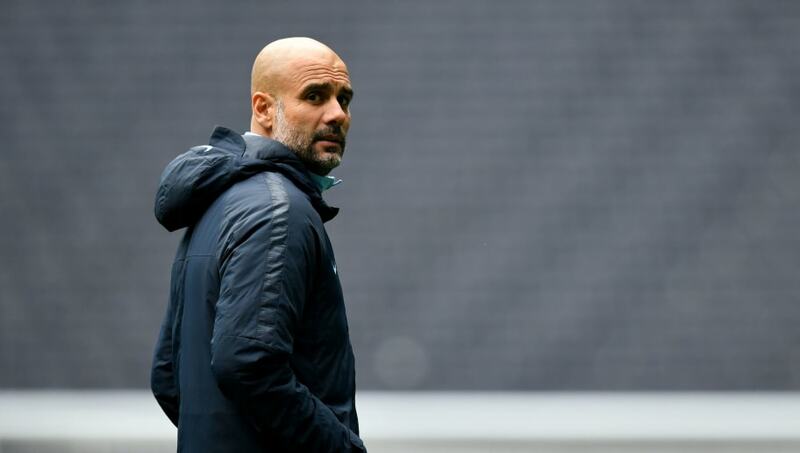 ​Pep Guardiola's team selection has come under scrutiny in the wake of Manchester City's 1-0 defeat at Tottenham on Tuesday, with many left mystified as to why certain players got the nod ahead of, well, Kevin De Bruyne. ​​The stats don't lie either. Remarkably, since beating ​​Real Madrid​ at the Santiago Bernabeu in 2011, eight years later he is yet to win another away leg of a ​Champions League quarter-final or semi-final. Additionally, of the 26 matches Guardiola has taken charge of in the competition's knockout games, he's won just six. In one of the more astonishingly one-sided semi final legs in recent history, Madrid cast ​​Bayern Munich aside back in 2014. Well aware of the talent on disposal at the Camp Nou, one can be forgiving towards Guardiola as he lined his team with defence as the priority. However, the decision to play ​De Bruyne in a false nine position and to include Nolito over ​Sergio Aguero​ puzzled many, and what unfolded was something of a formality. Claudio Bravo was sent off early in the second half as the floodgates began to open, but, despite being competitive in the first 45 minutes, the lack of focal point and running in behind were glaringly obvious. City lose the game 4-0; the worst defeat in the club's UEFA Champions League history. Guardiola was undone by a first half salvo​ from Jurgen Klopp's men last term at the quarter final stage of the competition. As he did against Tottenham, the Spaniard opted for more bodies in midfield, in an effort to suffocate the Reds down the middle. The decision to leave ​Raheem Sterling on the bench in favour of Ilkay Gundogan raised eyebrows, while De Bruyne began in a more withdrawn role, as Gabriel Jesus was left almost entirely isolated up front. Starting their Champions League campaign with the opportunity to set a marker against their biggest rivals in the group should surely have meant starts for Sergio Aguero and Raheem Sterling.right?